If food is medicine, your kitchen can be considered your pharmacy. Ever since work outside the home became the norm for most adults, cooking has become an increasingly endangered art. We like watching it on TV, but fewer and fewer of us actually do it. Given the proven benefits of home cooking, that’s too bad. A study published in July 2016 in the peer-reviewed journal PLOS Medicine examined health outcomes in roughly 100,000 people over a 25-year span. The researchers found that the higher the frequency of meals prepared at home, the lower the occurrence of type 2 diabetes, and the lower the rate of weight gain over time. Undoubtedly, this is owed in great part to restaurant portion sizes; caloric and, in some cases, nutrient-lacking ingredients; and preparation techniques designed for speed, not health. There is a standard list of reasons why people tend not to cook, one being the time that’s required. However, I am aware of research suggesting that a wholesome meal prepared at home takes, on average, about 10 minutes more than a fast food meal, once travel time is factored in. Time may still truly be an influencing factor for some people, but this math is worth pausing to consider. Despite all of the shifting and, it seems, daily bickering about which diet is best, the reality is that the fundamentals of healthy eating—including preparing your own meals— have stood the test of time; work in cultures around the world; are robustly supported by science; and are supported by a global “who’s who” in nutrition, public health, and related disciplines, including my colleagues at the True Health Initiative. In a profoundly important research paper published in the Journal of the American Medical Association in 1993, Drs. William Foege and J. Michael McGinnis found that 80 percent of premature deaths each year in the United States were attributable to poor diet, as well as tobacco use and lack of physical activity. A bounty of studies has since reaffirmed these same findings and also shown that rates of both chronic disease and premature death plummet when these lifestyle practices are righted. The latest addition to this compelling body of evidence is research showing that lifestyle practices powerfully influence gene expression and even the lengths of our telomeres (the caps at the ends of our chromosomes), which powerfully correlates with length of life. While it can seem that poor health happens to us, research shows that changing that course is very much in our hands. Eating well involves being able to find, identify, afford, and choose health-promoting foods in the first place. Much of this depends on a skill. For example, to identify the most nutritious breakfast cereal or pasta sauce, you need to be able to interpret ingredient lists and nutrition fact panels. My colleagues and I call that “food label literacy,” and we offer a free program to help acquire it. I also happen to be the principal inventor of a nutrition guidance system called NuVal, which you can access through a subscription program or, if you’re lucky, in a supermarket near you. It’s more urban legend than truth that nutritious foods need to cost more. Some do, some don’t, as I found in a study I authored on the cost comparison of more and less nutritious food choices in the United States. If you know how to interpret food labels, you can routinely find highly nutritious foods that don’t cost extra—and sometimes even save you money. Once you have chosen those better items at the grocery store, one more challenge remains: turning them into a meal your family will enjoy. That takes know-how, of course, and a lack of cooking expertise is fixable in ever more ways. 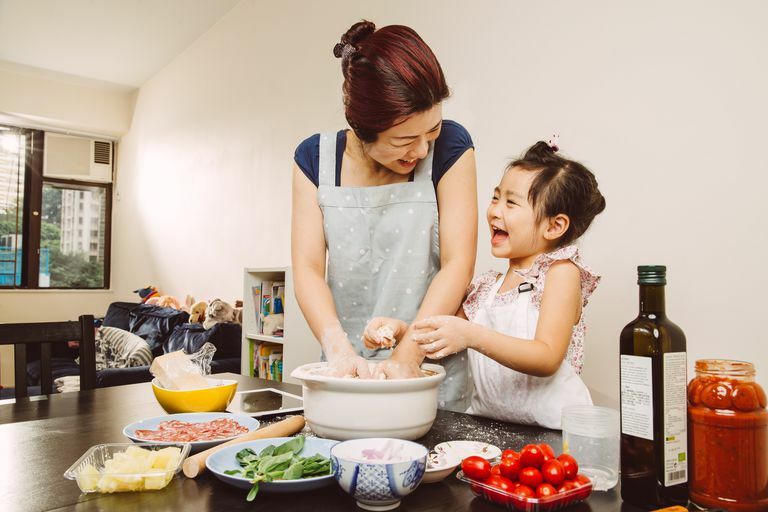 More and more communities are offering cooking instruction for adults, as well as cooking programs for kids that help them develop an understanding of the importance of (and, perhaps, even a love for) preparing their own meals. These vary by site (community centers, churches, camps), so you’ll have to get some help from an Internet search to know what’s going on in your neighborhood. There are also new programs launching all the time that deliver ingredients and recipes direct to your door, such as Blue Apron and Hello Fresh. There are recipes of every description online as well. I can offer some help directly from my home to yours. My wife, Catherine, is a fabulous cook. She is French; a foodie; a mother to our five children; a PhD in neuroscience; and she is married to a very demanding nutrition guy. Catherine has created a freely accessible recipe website, complete with instructional videos showing how to get it done in the family kitchen, called Cuisinicity.com. Help yourselves. And as Catherine says every night when we sit down to eat: Bon appétit! Our motto is you can love food that loves you back by fostering your health and that of the people you love most in the world. Consider that current CDC projections suggest that by the time our kids grow up, about one in two will have diabetes. Sadly, if you have two kids, there may indeed be a good if not certain chance that at least one of them will wind up with this diagnosis. Now remember the PLOS Medicine study I mentioned earlier: This is the very thing that home-cooked meals helped prevent. The prevalence of not just type 2 diabetes, but lifestyle-related chronic diseases overall is stunningly high in our society. We know it’s much higher than it needs to be because populations around the world that have health-promoting cultural norms, including a wholesome diet, have a lot more years of life on average. They have a lot more life in those years, too, rarely getting any of the chronic diseases so common here. There is another thing to factor in that is often overlooked: Time spent being sick. If you and your family don’t eat well, the simple fact is that more of you are apt to wind up ill. That is, along with being unpleasant, quite time-consuming in its own right. What this all means is that those of us who can’t find time to prepare meals at home are more likely to need time for ER visits, doctor appointments, and trips to the pharmacy. When those needs come along, in many cases, our options have come and gone. In addition, there are important trade-offs, just as with time. Money is required for doctor visits and pharmacy co-pays, too, when you or one of your kids gets, say, type 2 diabetes. A diet of “inexpensive” fast food greatly increases the risk of those expenses down the line. It’s pretty much a classic case of ounces of prevention now, or pounds of cure later. The challenges to making cooking a part of your family’s routine for the sake of health invite a comparison to wealth. Healthy and wealthy are both desired outcomes, but we tend to treat them very differently. When it comes to money, we all think about the future. We try to save. We hope to have something to pass on to our kids. A lot might be gained just by thinking of health the same way—as something we value, invest in, nurture, and pay forward to those we love. If you agree that healthy and wealthy are both good, then cooking is wise. True, there is some time, effort, and cost involved in making meals prepared at home a routine part of your family’s typical day. But there is a lot more time, effort, cost, and inconvenience associated with succumbing to the ill health that is very much the norm in our society, in part because our diets tend to be so poor. Learning to cook is a relatively modest investment. The return it offers is great, lifelong, and something you get to share with those you love.